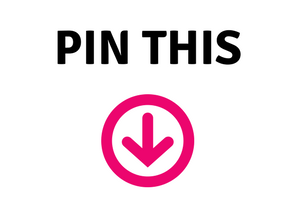 Thank you Love Grow Bloom for sponsoring this post. Get $10 off your first box with the code FIRSTBOX10! Everyone tries to tell you how challenging your college years can be, but the thought never really sinks in until you actually experience it for yourself. For me, that feeling hit hard during my first semester in college when I had three papers and two tests to handle all within 48 hours of each other. 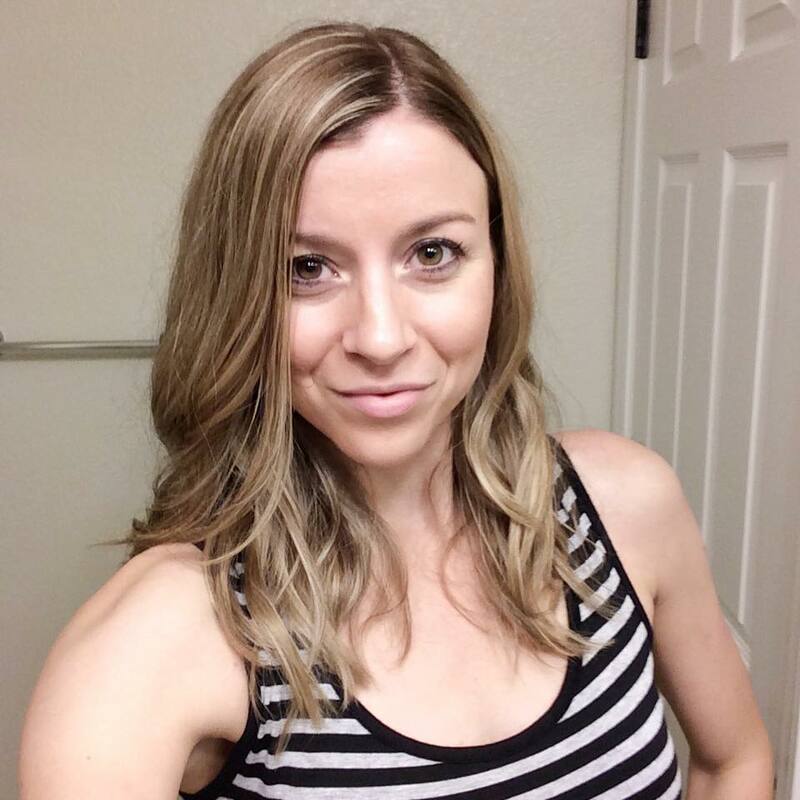 It was in that moment that I could’ve used a nice pick-me-up… something to get my mind off of the chaos that was circling around me and back on the little things that brought joy into my life (let’s be honest… chocolate was one of them). Maybe that’s why college care packages are so beneficial. They bring happiness to the recipient and provide that little extra boost students often need to get their work done. 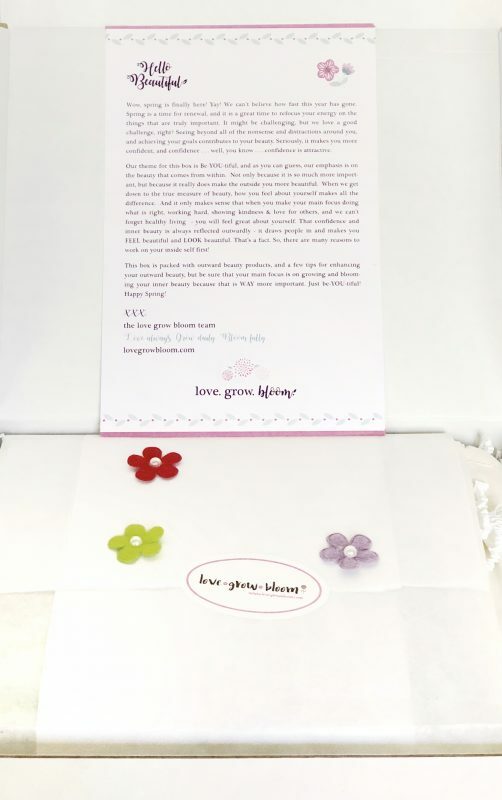 Love Grow Bloom saw the emotional need for these packages and created a subscription box specifically for college girls so that they could have something special to get them through those tough times. I’ve received three boxes from them over the past few months and I continue to be impressed with the careful thought that goes into crafting each one. What’s So Special About Love Grow Bloom? One of my favorite features of the Love Grow Bloom boxes are that every one has a different theme. 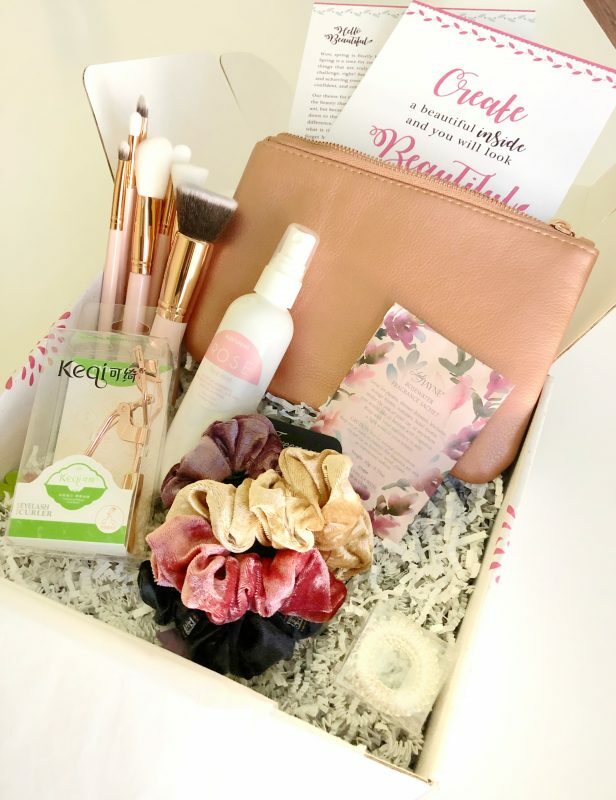 In the Be-YOU-tiful box (which is available for only a little longer – be sure to order yours here! 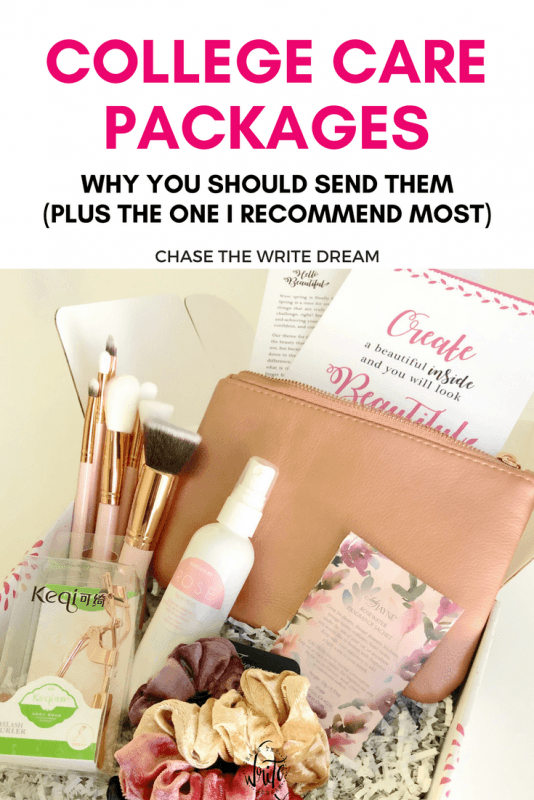 ), you’ll find makeup brushes, a makeup bag, rose water spray, an eyelash curler, scrunchies, hair ties that won’t damage your hair (literally life changing), and a lovely scent sachet that you could use in your room or a bathroom! Every #bloombox also includes a letter and some other inserts, as well as some cute flower blooms that lay beautifully on top of the tissue paper when you first open the box. The other thing I really love about this product is the box itself. 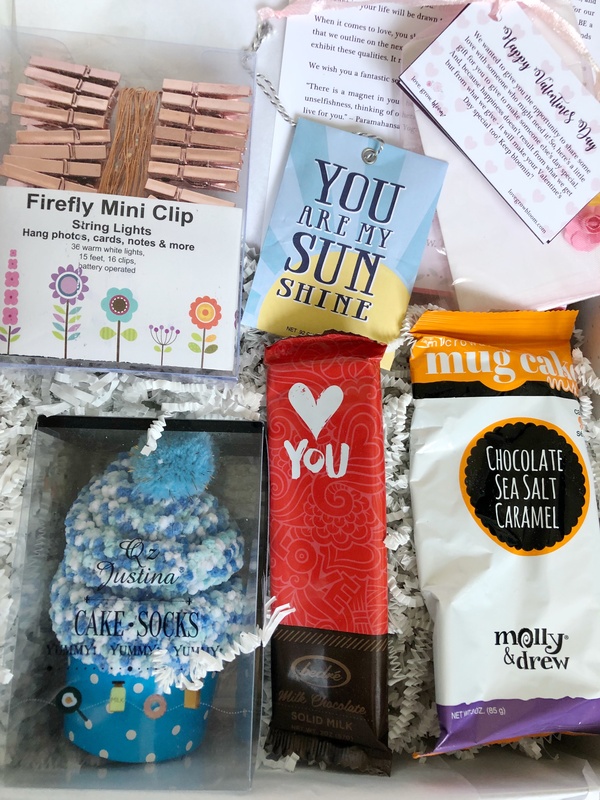 When it arrives at your door or at your student’s dorm, they’re going to be greeted with a bright and cheerful package, not just some brown box. Honestly, I feel like this little touch makes all the difference! I honestly couldn’t wait to dive in and see what goodies were inside, but I also didn’t want to ruin the box because it’s so cute! As I mentioned before, college care packages can make a huge splash in a student’s life. With all of the tests and assignments – not to mention figuring out how to adult – it can make even the best students feel overwhelmed. As friends and family members, I think we all desire to take a little bit of that pressure off of their plates. Since we don’t have that ability, we start to look for other ways to make them feel better, and to be reminded that they are always on our minds. But while we constantly have these thoughts, we often fail to stay consistent in our efforts to send things their way. That’s why I LOVE the idea of Love Grow Bloom. They really take the hassle out of sending a college care package to your student. 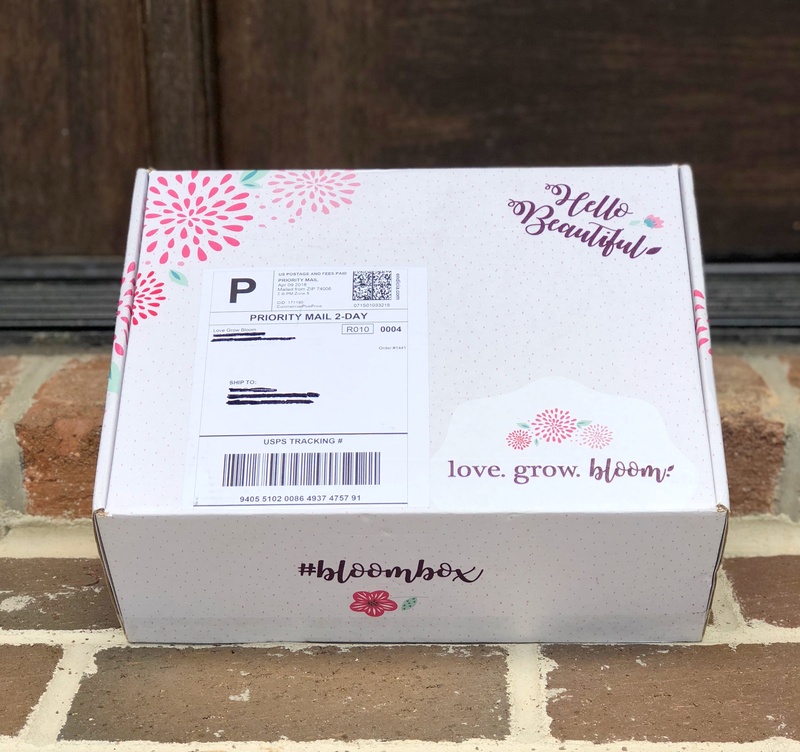 You can literally sign up for an entire school year, or for one box at a time (which is $39.95 – but you can get $10 off your first order with code FIRSTBOX10), and the rest is taken care of for you. There are many other reasons, but these alone should be enough to convince anyone that college students deserve to receive special things every now and then. Whether you are reading this as a college student or someone who knows a college student, I want to challenge you to do at least one of the following actions this next week. It’s so easy to get caught up in our day-to-day lives and forget to lift up those around us. Let’s support each other and spread a little more kindness around!